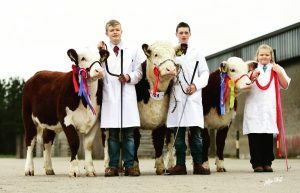 I am Marcus Murdock from Newry, aged 16 years old and proprietor of Lisnaree Herefords . I have currently been in the Northern Ireland Hereford Breeders association for around 3 years. 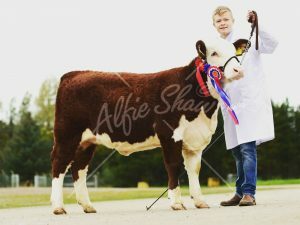 I first got an interest in Hereford cattle through going to many agricultural shows and watching the different breeds and classes, but the Hereford breed always stood out to me. So finally I bought my first Hereford in 2013 from Fingerpost Herefords. From here on I have successfully expanded my herd and currently have three in calf cows and a weanling heifer, this is all the pedigree cattle I have at the moment but I wish to expand this in the near future. 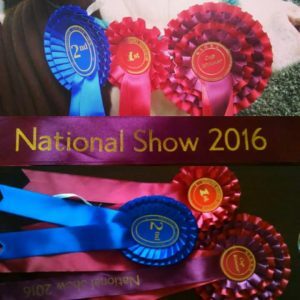 Summer 2016 was my first showing season, I successfully attended six shows at which I picked up rosettes at five of the shows. 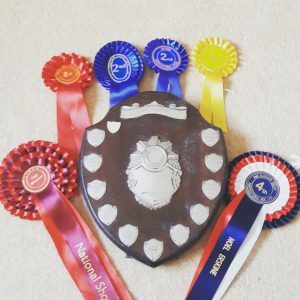 The shows at which I excelled at were the Hereford National show in Fermanagh were I won Hereford champion young handler, I also picked up champion young handler at the Hereford calf show. I was very pleased with these results for it being my first year at showing. At the Hereford annual dinner I was pleased to receive a shield for winning the Hereford champion young handler. Overall I was very pleased at my first year showing and hope to have many years of showing ahead.